Remember the last time you sat down to think about a pressing problem. You sat and thought hard about where you are, where you need to be, and what you can do to get to where you should be. Though a remarkably simple process, it is extremely efficient. The above mentioned thought process is technically known as GAP Analysis, in the managerial world. Despite the extensive evolution of managerial skills, a GAP Analysis remains at the forefront of process improvement techniques, in small companies that hire just 10 employees, to large Fortune 500 companies that hire thousands of employees. The sad truth however is that we rarely apply GAP Analysis to our progress at work, unless a problem comes along. My easy-to-understand video course on GAP Analysis will allow you to realize your lofty ambitions, by first understanding where you stand and then by showing you where you should be, finally followed by how you can close the GAP, getting that promotion, raise or new sales target that you have always desired. 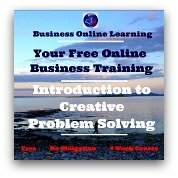 Give yourself the chance and see how this simple but tried and tested technique can immediately put your career, business or job performance on the road to redemption. Our Reduced Price? 2.99 US $ only. Use as often and as many times as you wish! Money Back Guarantee. If you don't like it, email us at contact and we will refund you immediately.